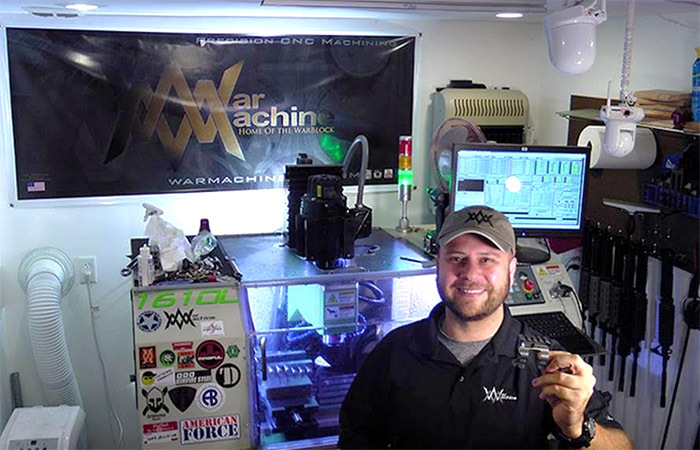 Our latest Customer Spotlight story is about War Machine LLC. 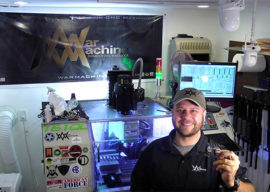 I am excited to be talking to James Dressman about War Machine and their very special product. 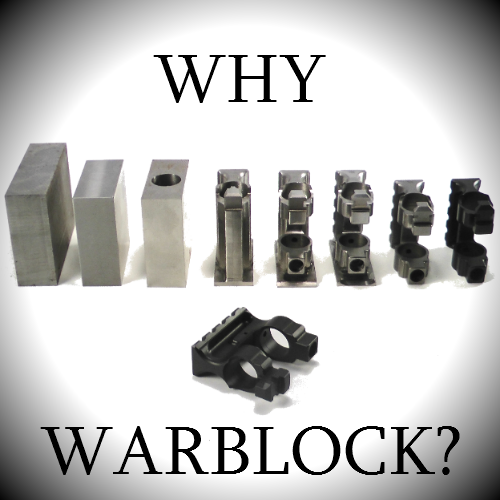 War Machine has created the ultimate Gas Block for AR-15’s. 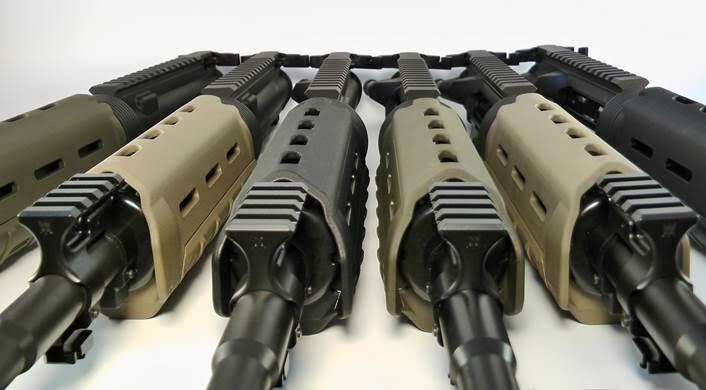 If you’ve ever dreamed of manufacturing firearm parts, War Machine LLC is proof that it can be done by a small business starting out with a small mill. James, I’m glad to have you for our Customer Spotlight series! I’d like to start out by asking you to tell us a little about your business? My business is as lean and mean as it gets. A CNC shop that goes from idea to prototype to small scale production all in a single car garage. Primarily focusing on the things I know most about, guns, and in particular the AR15. James, it’s so key for entrepreneurs to focus on an area they’re passionate about, glad to hear you did your business around guns. How did you launch the business? How did you make people initially aware of it? The exact moment of launch is debatable. There was the first tool purchase, the machine acquisition, the business filing, the website launch, and the first dollar earned. I guess the most poignant would have been the website launch simply because at that point it felt the most real. I even used the image of a space shuttle launch in the blog post announcing the completion of making the site live. I began making youtube videos hoping to help others and also to serve as a personal record of my work. I think when I started I had about 30 subscribers but I kept making videos. It seem to take forever to hit 70, and I think I threw a small party when I surpassed 100. I posted links on forums and got involved in social media especially instagram but everything I did was incremental. There was no magic bullet, just ignoring the negatives and plugging away every second I had time to. I just wanted to do at least one thing a day for the business no matter how small or insignificant. Even if my only task for the day was to wipe off the machine door. Some days that was literally all I had time to do, but I would make sure it got done. For me it’s just been a very slow and steady process. 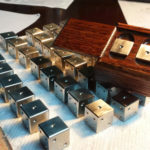 Of course Bob featuring my Luxor precision titanium dice right here on CNCCookbook was a big hit, in fact to this day it may have been the single biggest event for me getting traffic outside of a customer’s dice write-up on reddit. How did that launch go and what were some of the biggest challenges? Everything was and is a challenge. In the beginning far and away the biggest challenge was the machine troubles I had right out of the gate. That was a 2 year ordeal to sort out. I tried to hit the ground running but ended up stuck in quick sand. Of course the government is always a heavy monkey breathing down your back with it’s regulations and taxation but I understand its role, to tamp down small business competition from interfering with larger monopolies by making it as hard as legally possible on you, and it does it well. With that in mind you learn to ignore it. There were many late nights, never mind, every night was a late night. Most nights I would be up test machining until 2 or even 3am, or working on the website. I cut myself off from late night machining after nearly taking a large wrench through the skull one night about 2am when I forgetfully and drearily left it on the spindle drawbar following a tool change. Yes it’s on video in my WarBlock Youtube video series. How is the business doing today? That’s a real boatload of parts! Business today as measured by quality, as in extremely satisfied customers, is fantastic. I would say almost every customer writes me gushing emails about the product and service I provide. In fact I have not received a single negative comment or review ever, and the couple of mishaps that have happened in the past have been resolved quickly and overwhelmingly to the customers delight and satisfaction. The thing I’m working on now is volume. As a startup your sales volume can be quite low and it is difficult to get it up where it needs to be to hit the equilibrium between capacity and demand. It’s just something that can take a lot of time but I believe if you have a winning product, a commitment to constant improvement, and you treat every customer the way you would want to be treated no matter what, it will happen, even if slowly. What are your plans for it going forward? Right now I’m kind of in a holding pattern while raising my two small kids (4yo and 18mo.) since my time is stretched beyond it’s elasticity. My current plans are to increase brand awareness, develop faster and more reliable machining strategies, work on sales, and learn everything I can about website development and marketing. Being more spatially inclined with an engineering eye, marketing is definitely my weak point and it is something I plan on continuing to develop. I am also planning some gun shows this year and I can find time. Beyond that bigger machines, bigger shop, bigger tools, bigger inventory, bigger website, and bigger presence. All around bigger and better. What were some of the biggest mistakes you made starting out and what would you do differently if you could start over? It’s hard to answer this one because many of the reasons I did things the way I did was as a reaction to events beyond my control. Of course making decisions like this is not good and often lead to poor outcomes. However there are some things that were definitely 100% on me even given the best circumstances. One mistake I made was not having enough working capital on hand. I’ve always felt under-capitalized perhaps because of my desire to move too fast too soon. For example, I bought my first mill before knowing enough about machining to know that it was too small, and the company I bought it from too new. As a result I’ve been struggling with a mill that is somewhat inadequate for the kind of light production machining I’m doing, not to mention the design flaws in the mill itself and the company going under. Had I been better capitalized I may have sought out a larger more capable machine from the beginning given the audacity of my aspirations. Maybe buying a smaller desktop mill to play around learning on first while saving money for a bigger beast later. Because of this I blew a lot of money on a middle-of-the-road mill too small for real production and when the hard times hit I was unable to upgrade it. Nevertheless, my main limitation has always been time rather than capability. Even a small mill can take you far but if you don’t have time to dedicate to building the business it’s not going to matter. Perhaps second to lots of capital or at least a healthy income stream, you need time! Lots and lots of time! Note: Marketing is a huge challenge for any startup. For those interested in learning more about it, I keep a special clippings blog that has every marketing article I’ve read, found merit in, and either implemented some ideas from or plan to implement ideas from. 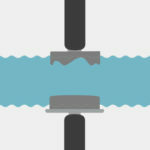 It’s called “Firehose Press“, it’s totally free, and hopefully it’s a useful resource for others. Most entrepreneurs bootstrapping their own businesses without a big venture capital check feel under-capitalized. But sometimes being under-capitalized and having to take it slow can be a blessing. By taking longer to do things, you have longer to study the market and learn about your customers–that part is almost free but it is totally invaluable. Most important is learning how best to reach and market to your customers. I have seen startups with Venture Capital plow a lot of money into marketing programs they thought would work, but that didn’t because they didn’t truly understand their customers yet. I am actually thankful CNCCookbook didn’t have a lot of capital to spend in the early days because of all this. 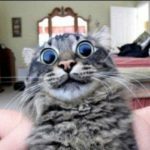 How did you become aware of CNCCookbook? Tell us what you think of CNCCookbook and our software? I found CNCCookbook pretty early on in my exploratory CNC endeavors and it has been invaluable ever since. In fact I’ve learned more about CNC machining from this site than anywhere else second only to my own experience. First it was me just trying to wrap my head around it, then it was figuring out how it can point me towards what machine to buy and with what components, later it was a way to troubleshoot and diagnose machine problems, and ultimately it became a guide to help me optimize machining and tooling. It really ran the whole spectrum of knowledge required for CNC. 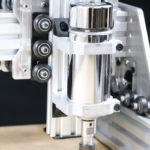 I was particularly interested in how CNC pertained to startup businesses for obvious reasons and even there the CNCCookbook did not fail me as there are many articles about that here. Of course I had to buy the GWizard Calculator, I would have been stupid not to. Before I even had a machine I was using it to come up with a tooling strategy on what end mills to buy. Today I use it constantly when developing CAM programs and it has been one of the more valuable purchases I’ve made. The low price of it has been offset many many times by the amount of money I’m sure I’ve saved on tooling alone, let alone time. 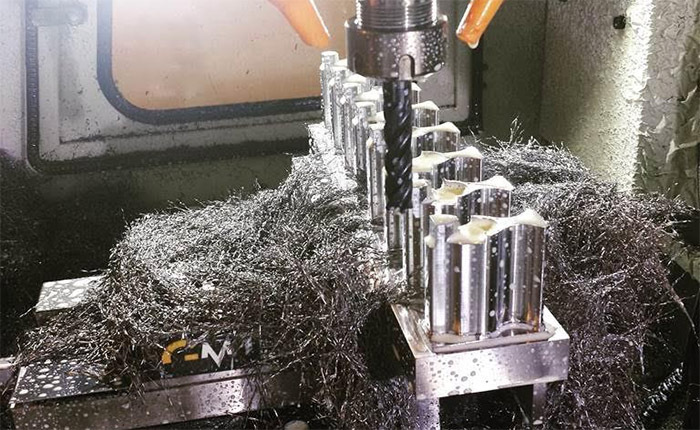 I upgraded to a lifetime subscription the first chance I got because I couldn’t imagine doing CNC without it. Anything else you want our readers to know about your business or story? 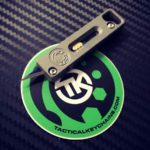 Sure, if you are interested in more of the back story check out the Hackaday article from my first blog post where I delve into more of the hard times. Also as a token of appreciation for what Bob does and for you the reader mucking through my story I’m offering you guys a 10% off coupon code for anything on the site for a limited time. Just enter the code: cnccookbook at checkout. 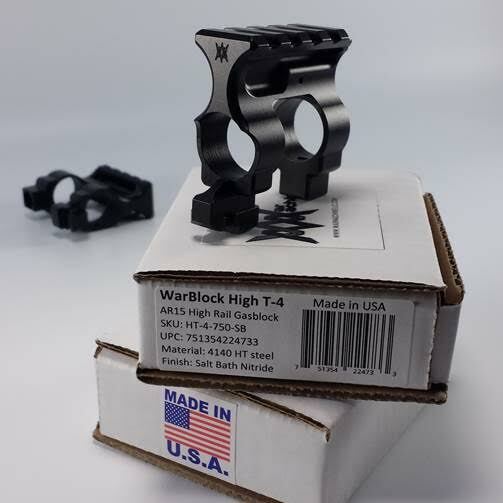 Also feel free to stop by my blog where I tried to document in detail most of the product development for the Luxor precision titanium dice and the WarBlock receiver height Picatinney railed AR15 gas block. Thanks James, for telling us your story! 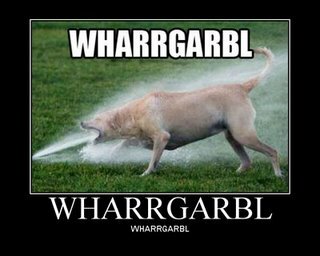 I highly recommend taking a look at War Machine’s blog. James doesn’t pull any punches about what’s happened on his journey building the business, and he has some great tips about what it’s like to refine the production process for his product to try to get as much quality and productivity as he can from the tools he has at hand. I know James will keep an eye on this post, so if you have any questions or comments for him, go ahead and post below and I’m sure he’ll respond. Great article Bob! I am also a garage based shop and a fan of your software. I will be checking out your blog James, this is inspiring. James, congrats on your business. A simple question for you is how long does the battery last in your digital mike? 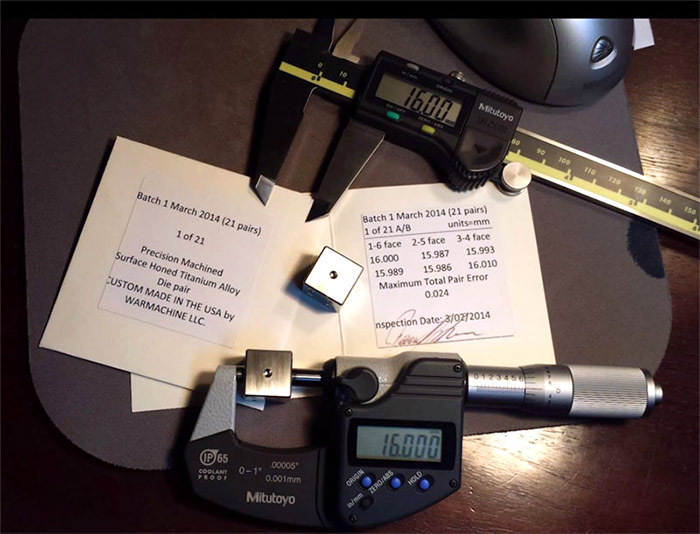 I have both the Mitutoyo caliper and mike pictured in this article. The caliper battery lasts years but the mike battery lasts a couple of weeks. I also have a Starrett digital mike and battery life is as bad. I haven’t noticed a battery life issue with the mics. I think I replaced them once in the several years I’ve had them. I’ve never replaced the caliper batteries though. Thanks James. It makes no sense to me. Perhaps I might enquire with Mitutoyo. I have heard of battery life issues with Starretts but not specifically Mitutoyos. Might give them a call. You’re only getting 2 years on the caliper batteries? My 8″ Mitutoyos are still on their first battery after 4 years, and my 6″ set are almost 8 years old and the battery looks to be finally just about done. I use them both almost every single day. My caliper is used daily too. When I say a couple of years for the caliper it may well be several years. I’m not counting. And it is never turned off. It’s not my point. The point is the poor battery life in both my Starrett and Mitutoyo mics. Haven’t gotten around to calling Mitutoyo yet. Anyone got any spare round to its? 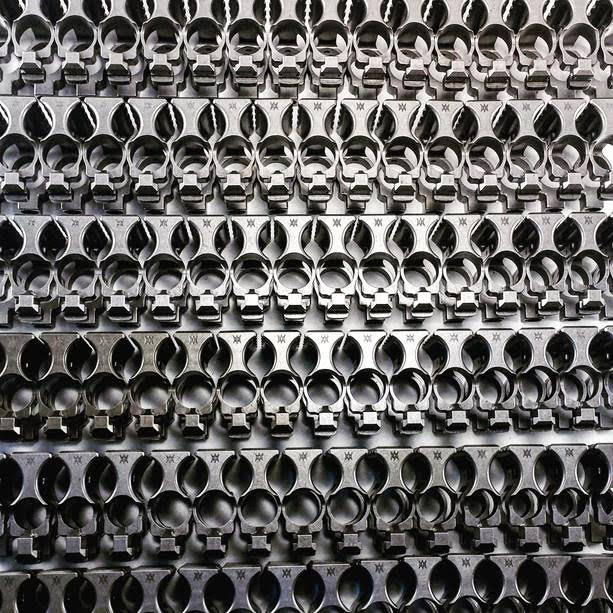 If you ever want to kick some ideas back and forth about the manufacturing industry I love to talk shop. Give me a shout out. Genuel would be a great guy for any of you folks to talk to. He gets to work with some very seriously cool CNC machines all day long and knows a lot about manufacturing! Sounds great Thanks! How would I contact you? BTW yes thumbs up for Bob! What are the specs on that mill your working with?